Gretal is a classic and well-loved design for little girls. The body and sleeves are worked in the round in Plain Knit and the Heart border and Seed Stitch yoke are worked on #4 needles. The smaller needle helps the knitter to keep this work crisp. 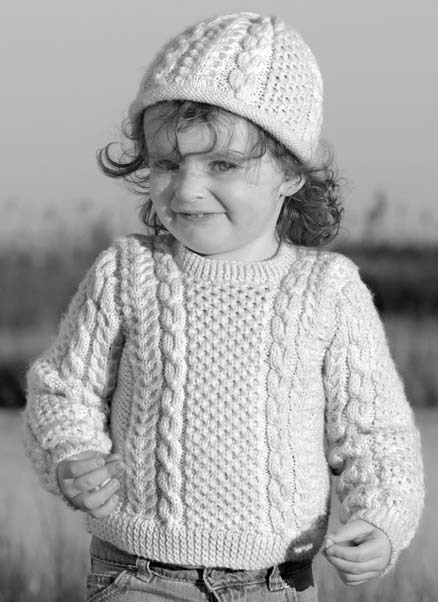 Gretel is an easy pullover to knit and is also loved because of its Guernsey trait. An additional feature - when you knitting is done, the sweater is done.... No seams! This helps to make it an easy knit for the intermediate and possible for the beginner. Sizes 2-12.